An Essential Companion to the Master Kit. These 12 reference molecules are directly linked to the composition of affected wines. 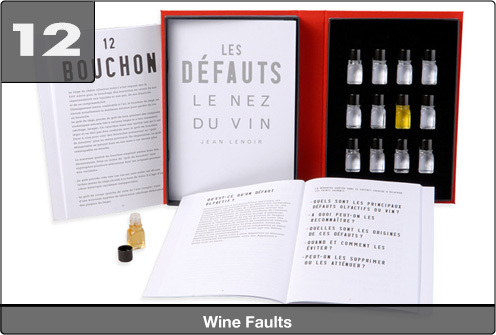 The Faults Kit enables you to identify and memorise the 12 most common faults found in wine. Professionals and enthusiasts use the faults guide as a test for faults within a vintage.